Earlier this week, Prince Harry and Meghan Markle made their official Instagram debut. (Markle used to have a personal account but it was deleted, along with the rest of her social media presence, last year.) The whole thing seemed fine, if you’re into that kind of thing. 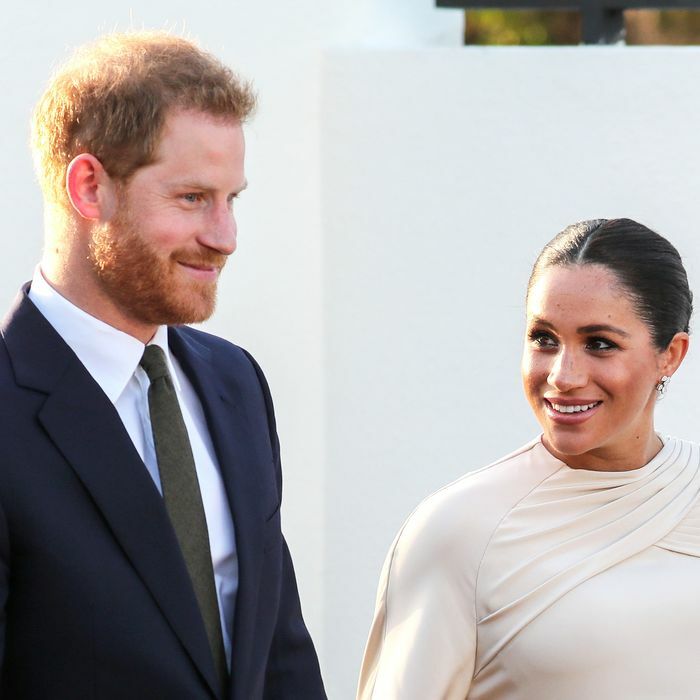 The first post was an introduction to the type of content you can expect to find if you follow @sussexroyal, which is to say pictures of the couple smiling while doing all sorts of pleasant and polite things. Though it doesn’t seem totally polite now that it has come to light that the couple — or rather, the team in charge of the couple’s social presence — snagged the handle from an unsuspecting Instagram user. Kevin Keiley, a driving instructor from West Sussex, was the owner of the handle @sussexroyal for three years before the actual Sussex royals appeared, BBC reports. He says the name was a tribute to his favorite soccer team, Reading F.C., who are nicknamed the Royals. Keiley said he didn’t know the handle had been taken until his son texted him, at which point he noticed that his handle is now @_sussexroyal_. He said he mostly used the account to like other posts, only occasionally posting himself. “I’m a bit loath to use Instagram until I have a chat with them personally,” he said. Instagram told BBC it changed the handle to “prevent digital squatting.” (Intelligencer has also reached out to get details from the company.) Meanwhile, Keiley’s still clinging to @sussexroyal on Twitter. “I used to have four followers and in 24 hours I’ve gone up to about 198,” he said.